Hello all, Brenda here again with another "love" card. This little stamp is so darling. It reminds me so much of my husband and I in the way that we are so different but we love each other so very much. 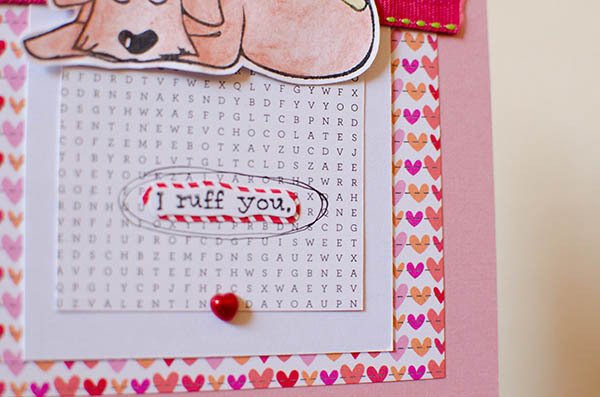 The Doodlebug "Love Bugs" papers are just perfect for the "I Ruff You" stamped sentiment from the add on set "Love is a Four-legged Word." Those little hearts are really cute too. This paper is adorable. I just had to make my own little "found" phrase with the stamp. 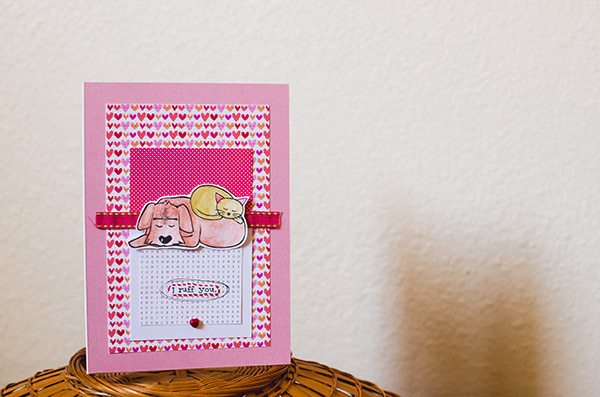 Thank you for checking out my sweet and simple card, today. Hope I have inspired you a bit.